From 1970 to 1984, the City of Kamloops, in British Columbia, underwent an economic bust. Its boom started with the completion of the Trans Canada Highway in 1964, and was enhanced by completion of the Yellowhead Highway in 1970. These highways, alongside the firmly established C.N. and C. P. rail lines, turned Kamloops in a major transportation hub. Therefore, immigration, and secondary industries, increased and turned Kamloops into B.C.’s third largest city. The success of Kamloops stems from secure jobs in the public sector, such as the Royal Inland Hospital and School District #73. However, the economic recession, of the late 1970s and early 1980’s, stifled primary industries, such as mining and forestry. As an economic strategy, investing in commodities can be risky, whereas investments in Health Services are reliable and secure. This investment strategy is evident in the history of the institution at Tranquille, because of its ability to adapt and survive economic fluctuations for almost a century. However, this essay will argue how Tranquille affected those in the Kamloops region, or at least capture a part of the legacy institutions have had on our province. Tranquille, first opened its doors as a sanatorium for sufferers of tuberculosis in November of 1907, under the management of the British Columbia Anti-Tuberculosis League and the direction of Doctor Charles Fagan, the Province’s first permanent Medical Health Officer.The so-called “White Plague”, was a “wet” disease, and the most commonly perceived treatment was to avoid damp air and polluted cities. The Secretary of the Ontario Provincial Board of Health, Peter Bryce, said that “Kamloops was the best location in Canada, if not the whole of North America.” With much criticism, in regards to the placement of a sanatorium within the vicinity of Kamloops, a site was purchased thirteen miles from town. Much of this “Nimbyism”, an acronym of Not In My Back Yard, was advocated by the Anti-Sanitarium (in Kamloops) League, and their chairman, M.S. Wade, with members ranging from Kamloops mayor J.R. Michell, MP George McCormick, and Senator Hewitt Bostock, to name a few. Nonetheless, Dr. Fagan continued his campaign, despite the A.S.L’s petitions and the hostile stance take by the Kamloops Standard, to see a fully operational sanatorium open and transform into, what a Sun reporter, Elmore Philpott, called a “Whole Little City Within Itself”. What was waste ground with nothing but weeds flourishing on it [sic] in front of the west pavilion is now a sunken garden and is in the opinion of some visitors from Vancouver Island, the equal of anything to be seen in the famous Butchart Gardens. Beneath these grounds were access tunnels, used for transferring food and laundry, now infamous in ghost-stories and local folklore. The main aspect to note is the self-sufficiency of the compound. Cattle, pork, and honey, were produced to a surplus, allowing sales and trade with other local producers. Therefore, with numerous other factors, such as becoming a tourist destination and support from the provincial governmental, Tranquille survived and even benefited in the post- WWI and WWII years. Many infected returning soldiers, although significantly fewer than WWI, were institutionalized, yet by 1946 there were eighty-five veterans in residence, becoming a quarter of the housed population. Staffing difficulties, wage cuts, and structural upkeep plagued the institution in the 1930s. In the end, it was scientific advancements, more specifically in surgery and drug therapy, that made the need for such a large-scale institution irrelevant. However, approaching its closure, in the late 1940s and early 1950s, Tranquille had become completely modernized, with large scale laundry facilities and central air-conditioning. Before its decline, from 1952-58, Tranquille housed over six hundred patients and staff combined, but the occurrence of new cases of T.B. had declined sharply, making the institution and its extravagance, obsolete. After the last patients had been transferred to Vancouver, at the behest of the Health Minister Dr. Eric Martin, Tranquille became, for a brief period, 1957-58, a functioning school, but once again it had become a “political football”. After much debate and political hesitation, a Social-Credit MLA, Phil Gaglardi, announced that the Tranquille facility would reopen, under the Department of Mental Health, as a relief for the overcrowded facilities of Essondale and Woodlands, the first mental health patients would arrive in July 1959. What came to be known as Woodlands School, operated from 1896-1996, housed adults, children and the “mentally ill”, who were considered to be wards of the State.While in operation, Woodlands was a “White Elephant” for British Columbians. Looming over the city of New Westminster, the Public Hospital for the Insane housed over 1600 people, until 1950 when the Provincial government separated the disabled children from the adult “lunatics”, and the latter were moved to the Essondale institution. The adoption of the name Woodlands School was somewhat misleading. In fact, there were only twelve teachers, out of 1200 staff for the resident population of 800 in the 1970s. Those who were amongst the population were the province’s unwanted, such as abandoned babies, epileptics, hyperactive individuals, intellectually and physically challenged persons, orphans, and wards of the state. Although they were referred to as the “unwanted” there are reports of coercion from parents saying that not one of them willingly gave their children to the institution. Woodlands was not a school students graduated from, those who were not transferred to other institutions, like Tranquille, lived there for their remaining years, with a possibility of being moved into community care. The need for relief was due to the conditions at Woodlands, such that a visiting University of British Columbia professor, Dr. Gunnar Dybwad, said, “[c]onditions at Woodlands School for the Mentally Handicapped are so bad, the school would be closed down and fined if it were a non-governmental organization”. The topics of treatment and living conditions will be further discussed in following paragraphs. ause it exemplifies the economic centralization of big business, organized labour, and the state. Unions and mental health societies demanded higher standards in hiring practices, which meant a shortfall of skilled and educated workers in the mental health sector. British registered nurses, with specialized training, were actively recruited by the B.C. Provincial Government’s Public Service Commission: one of these recruits was Peter Smith. Favourable, but let me provide some personal context for that. I trained at an institution north of London that had 2,300 residents, most of those living in two three-storey buildings. Horrendous! Among its saving graces was a radical Physician Superintendant who invited the BBC to do a documentary on the place with total freedom to film where- and whenever. Within a few years the place was closed down. Soon after graduating I moved to a small facility in Devon. This place had about 300 residents in several individual villas in a lovely rural setting. Tranquille was very similar in size, layout and beauty of surroundings. The large-scale British institution, Smith referred to, resembles descriptions of the Woodlands School, yet Woodlands had half the population. What were considered “inmates”, “students”, or “patients”, had no control of their day-to-day activities and were completely reliant on those who operated the institution. This reporting defines how Fordist processing, in the case of this particular institution, depersonalized both staff and patients. A term used to describe this phenomenon is “total institution”, where the binding nature of regulations defines the lives of workers and patients alike. behaviours as a way of communicating for non-verbal people. The topic of abuse is far too broad, and not the focus of this essay; however, this dynamic provides insight into conditions that shaped the institutional setting. Hence, two relevant observations by Smith will provide some context for institutional abuse. The first relates to the abuse of the institution itself, “At Tranquille I was directly aware of very little abuse, beyond the systemic abuse of housing so many people with such intense needs into dormitories within the institutional care model”. The second pertains to the collective lack of knowledge of the era, “I was part of a blinkered vision that could not see how some clients would benefit from living in homes in the community, or could not see how it could be accomplished properly without astronomical costs”. Further, the Canadian Human Rights Act of 1977 established the right for all people to live without stipulation or oppression, and defined those with physical and/or mental handicaps within its parameters. This was a signal that the “blinkered vision” was on its way to being corrected and that Tranquille would soon be irrelevant once again. 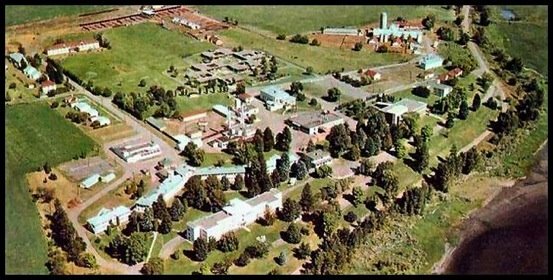 Although, from 1971- 1983, Tranquille had transferred over 400 people into community living another 400, more severely handicapped people, were transferred in, furthering the strain on services. There was a shift in specialized care, into preparation and training for community living; however, the Restraint Budget of 1983 provided economic motivations for closure. Pressure from the Social Credit Government, figure-headed by Grace McCarthy, Minister of Human Resources, demanded a reduction of the public service. McCarthy said that 1984 will be, “the most aggressive year of deinstitutionalization that probably this province has ever seen or will see, and we should be proud of the fact that we can do it in this time.” Proud, was not the way the people of Kamloops felt. Facing another economic recession, unemployment in the region was close to twenty per cent, and the closure of the third largest employer, with the multiplying effect, affected an estimated 2000 to 2500 people. Once again, Tranquille reassumed its role as a controversial “football”. In this instance, the British Columbian Government and Service Employees’ Union found themselves fighting for their collective agreement, hostilely occupying the institution for twenty-one days, and in supporting the institutional model of care. As for the staff, Smith recalls, “some relocated to Glendale on Vancouver Island, many took positions in group homes and continued caring for the people in the new system, some changed careers altogether. Several Tranquille staff opened and managed group homes under contract to the Ministry”. Thus, many people benefited from the privatization of mental health services, despite many concerns with the community care model. In April 1984, Smith, and two others, opened New Horizons Support Services, an agency that assisted the Ministry in selecting of suitable homes, training ministry and group home staff in the challenges faced by this population, in positive teaching methods and development of staff skills. Peter Smith still resides in Kamloops, and represents an era of humanitarian and economic transformation. tered one major roadblock: time. After painstakingly searching for relevant files at the BC Archives and requesting access, I found out that every file of interest was either deemed “Undetermined” or “Restricted”. Shortly thereafter, I was made aware of the process for retrieval of documents, a twelve page document requiring an up to date resume, three personal references, a finalized list of requested items, and an outline of the research papers’ intentions. After submitting the request, I received an email from an Analyst, Charlene Gregg, on behalf of Mac Calhum, saying that Mr. Calham was on vacation for the next ten days, and my request would be processed some time after his return. Also, Gregg brought to my attention that each requested item must go through a Youth Court Judge, due to the sensitive nature of the material and stipulation of the Youth Criminal Justice Act, a process that can take over six weeks to complete. Then, seventeen days later, Mr. Callum emailed, asking if I still wanted to go through with my application, although he was saying now that it would take over three months to be processed through the system. Panic stricken, and relatively frustrated, I emailed the offices of the NDP Health Critic, Adrian Dix, believing that he would have relevant information that had already been processed. Two further emails, and an unreturned phone-call later, I came to the realization that both a provincial and a federal budget had been released within that same week. Before that realization, I believed that he had refused to comment because of the NDP’s connection to the BCGEU, and their precarious role in the closure of Tranquille. After all these attempts, I was beginning to believe Mr. Calhum when he said that if I had chose highways as a research topic there would have been no problem. However, I could not abandon this topic, as someone whose family came to Kamloops directly because of Tranquille’s closure; I was insulted by the bureaucracy that prevented me from finding my family’s history. For future historians, I will provide a list of the restricted items requested, (GR-0118, GR-0133, GR-0379, and GR-0960), to encourage further research and promote the exploration of this topic. My compassion extends to those, residents, families, and advocates, who are trying to understand and learn from the “Awkward Legacy” Tranquille left behind. Calhum, Mac, E-mail message to Jordan Keats. 03/ 06/ 2008. Charlene Gregg, E-mail message to Jordan Keats. 2 /21/ 2008. Clarence Bolt, History 214, all sections, Supplementary Readings, Camosun College 2008. History of Kamloops, News Room Profile, City of Kamloops. Inland Sentinel, 28 February 1896. Kamloops Sentinel, 24 September 1958; 30 July 1958. School. Victoria, B.C. : Ministry of Children and Family Development, 2001. News Room Profile, Demographics of Kamloops, City of Kamloops. Norton, Wayne. A Whole Little City by Itself. Kamloops: Plateau Press, 1999. Philpott, Elmore. Vancouver Sun, 14 June 1958. Ont: The Roeher Institute, 1996. Reprinted 1977 with changes and corrections. Smith, Peter John. E-mail message to Jordan Keats, 3/ 17/ 2008. The Vancouver Sun, 27 July 2007. 1984 Legislative Session: 2nd Session, 33rd Parliament. HANSARD. 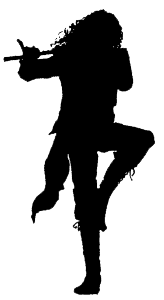 Tai Chi-ers: Wouldn't you like to get away? This is fascinating, I grew up in Kamloops and of course heard all of the stories and never really believed much of it. The history behind this is almost surreal. The history leading up the the present would explain some of the experiences that people have had there. I am curious as to what truly happened. Lynn-June, this is David. I am Dr. Bowers grandson. How is Ross? I am working on a documentary about Tranquille. Winnie and I have been trying to find you! Hope you get this message Lynn! I don’t know much about computers, so I am just guessing my way through here! Hi Lynn! Winnie and I have been trying to contact you for years! I want to interview you by phone about your experiences living at Tranquille. I am in Kelowna, and I am listed in the book. Winnie is married in Calgary, but I won’t post her contact info on a public forum. My friend who works for Shaw cable and I were doing a documentary about Tranquille, but Shaw cut our funding off, so I am doing it myself. Winnie and I sure hope to hear back from you! Say hi to Ross, and I was very sorry to hear about your mum. Take care! Hello Lynn…I have been trying to get in touch with you. Winnie has too. I linked my facebook page to here so hopefully we can connect as I am doing a doc on Tranquille and need your input. This is a very interesting read! My father spent 3 years, from 1945-1948, in Tranquille with TB. He spoke highly of the care he received there and the nurses that attended to him. He passed away many years ago but the memories of his stay there still are interesting. My sister and I made a trip to Tranquille last year and although we were not able to get into the buildings, we were facinated with the whole place. My father left us photos of the buildings and grounds in 1945 and I must say the grounds were beautiful. Please post anything related to this facinating place. I wish someone would make this place a historic site. I only wish I could agree with you Lynn. The individuals I saw coming out of that institution were abused, down trodden and without skills to survive in the real world. It was our job, and some 27 years later still my job to change and reinforce the worth of these wonderful people. Not sure if I can add a link on here, but will try. Hi I worked at Tranquille for 3 years from 1981-1984 and was transfered to Woodlands when it closed. Tranquille was a pretty well run place. I really liked working there and agree that most staff tried very hard to give a high standard of care, some were negative and not very compassionate but the majority were kind and worked hard… very hard. I worked as a health care worker and an activity worker. There were lots of activities, movies, dances, camp outs, swimming, hydrotherapy, trips to the canteen and many more. I know a lot of the residents I worked with died after being transfered into the community of various ‘accidents’ and we were all very sad. My father was also there during that time, he never did talk about Tranquille. I did not know he was even there until I found some old letters he received from family and friends during his stay so it’s all pretty much a mystery to me. I have been reading alot about this place as this kind of thing is my cup of tea and I would love to actually go there and see the history. Does anyone know if this is possible? And if so, I can not seem to find directions on how to get there. Any feedback would be greatly appreciated!! When I was 15 I was in an unwed mothers home in Kamloops and they would bring girls there from Tranquille that had been impregnated, it was so sad, they didn’t even know they were having babies, they were only children in their mind and had been used in what ever manner by men at Tranquille, I would imagine it was other residences , whoever it was always left a sadness in me to see these poor childlike girls with big bellies carrying a dolly around as the house mothers tried to explain to them that there was a dolly in their tummy. Don’t forget these girls in all the flowery comments please. I was reading through your info and your experience there must of been very memorable. My brother Wally Gilderdale (deceased) was at the Tranquille centre for the mentally handicap at the that time. My grandfather was a prospector on Tranquille creek Fredrick Gilderdale and helped out around the tranquille grounds. It’s nice to know the patients had good care. The history is wonderful and I like visiting the facility when I have a chance. I have a few pictures I received from the history society of my grandfather at Tranquille. Alex McIntosh the Director of Nursing at Tranquille had a high standard of ethics. He was contracted by the Government to monitor the new establish group homes. He believe that facilities like Tranquille could offer safer care. Tranquille took Woodlands most difficult clients. He believe in consistent care, taught chaining methods, rewarding client for being able to dress oneself. Mr Alex McIntosh supported Integration for higher level clients. He believes, that larger care facilities work better for clients which need full time care. My dads main concern was safety of clients. Would you please email me? I have some questions about Tranquil. Anyone that has info. Im looking for the owner of this property 🙂 I’ll explain more to whoever contacts me.